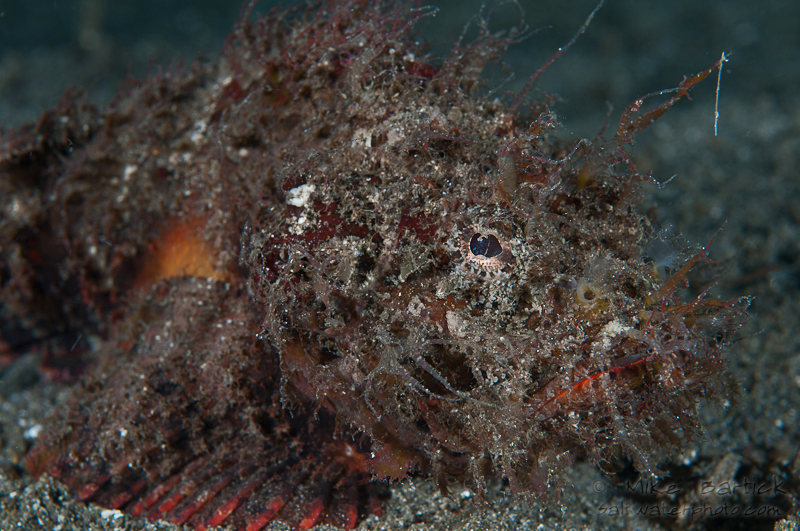 The latest dive season once again produced some incredible finds. 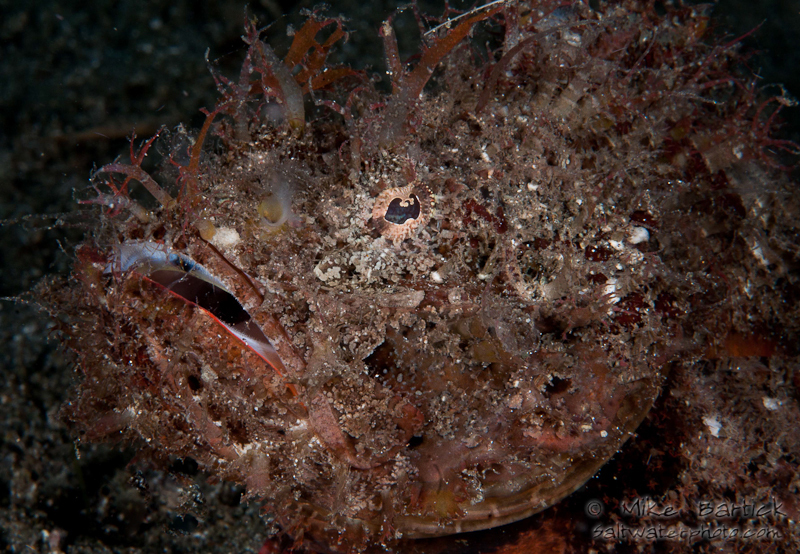 The ID shot above is a perfect axample of the amazing critters we have here in Anilao, Philippines. I thought this was a stonefish at first as it was accompasnied by a smaller white stoney but as it turns out i couldnt have been further from the truth. Initially i shot a few photos and then swam away seeking the critter we came to find in the first place. Then after a few minutes i realized that the critter i swam away from was very unique and infact something i had never seen before. I turned back to find the critter once again but you know how elusive these slow moving creatures can be. I finally did find it and yet again was pulled away, but not after i snapped some ID pics. 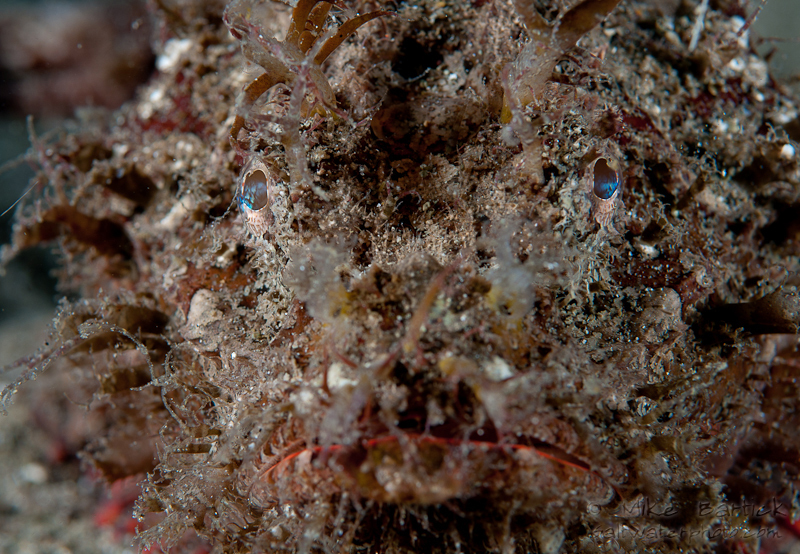 In the first image (very top) by the angle of the photo it appears to be a stonefish, upturned mouth, eyes far apart and at the top of its head. It was suggested to me that perhaps it is a Scorpionfish and so i turned back to my images and found the second round of snaps. Indeed looking at the head-on image its a dead ringer for a scorpionfish and from the looks of it a flasher or Scorpaenopsis macrochir. It looks like a little Chinese dragon to me, but there it is....what a spectacular critter!